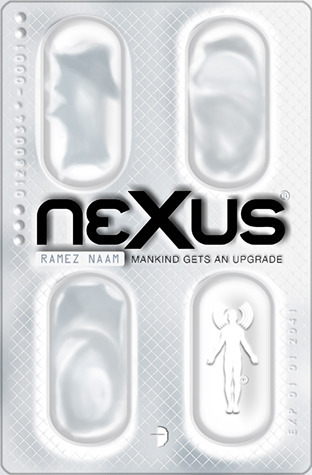 Kade Lane has improved the Nexus technology. He is fully aware that this technology can change the world overnight. He is also becoming aware that the tech that he has created could cost him his life. This is the first techno-thriller that I have ever come across in the New Adult drama. The main players in this book are Kade and his friends, who are effectually the next great minds in nanotech. Readers are clued into the "eyes" that are following Kade and his friends long before they make themselves plain to the group, which makes readers both curious as to what will happen and protective of the obvious "sitting ducks". Things just go from bad to worse for Kade after he and his friends become aware of the war that is being fought for control of Nexus 5 between the US government and secret agencies and factions as far away as Shanghai. One is never quite sure who the good guys are in this and the web of intrigue, lies, secrets and tech just gets more complex as the story goes on. The writing style is one that very precise; providing you with a very clear snapshot of happenings without unnecessary explanation. This writing style is perfect for the nonstop action and minute to minute plot twists found here. This book is the perfect blend of "The Matrix" and "War Games" without the flying.This subject matter and questions raised within this story are far more than just entertainment. With technology advancing as such a face pace; the fact is that we as a people are not far from tech like this being a reality. If you loved Nexus, I think you'd also like Uncommon Stock. It's a tech startup thriller along a similar vein.